He has not yet debuted in the league with the team, playing 7 minutes in Copa del Rey in Gijón. After overcoming the tear in the rectus quadriceps of his left leg, the lateral Jordi Calavera has received a medical discharge today. Tomorrow will return to exercise with his teammates and will be available for Saturday against Atlético de Madrid if Mendilibar deems it appropriate. With only 6 games left for the end of the league competition, Calavera could start taking minutes of competition for the first time in the season, in which he has not yet made his debut. The 7 minutes played in the Copa del Rey against Sporting de Gijón address served to see how the player fell back injured. An unfortunate injury that has kept him out of the playing fields until today. It seems that Skull will have to hit the table to convince Mendilibar that he deserves a place in the team. A club that has not come to fruition since signing on 15/16 from Nastic de Tarragona, after which it was ceded to Lugo and Sporting de Gijón. The injuries have been primed with the player, who has not yet debuted in First Division. However, it seems that could change in the coming days. 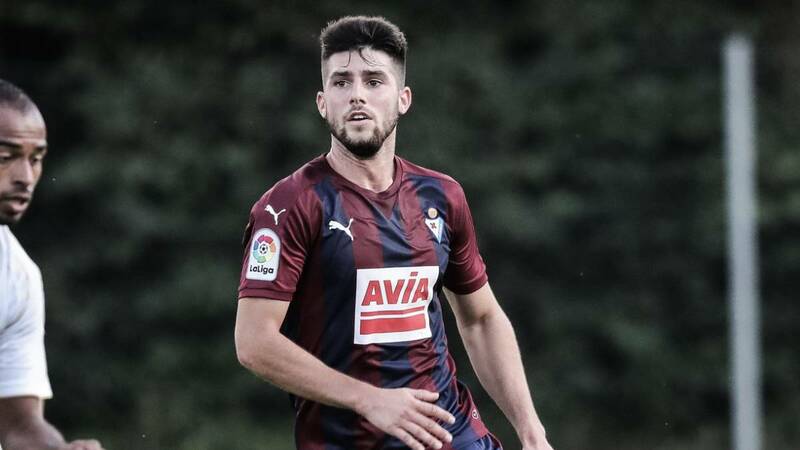 Undoubtedly, an excellent news for an Eibar that at the moment has the infirmary filled with players like Ramis, Diop, Bigas and Rubén Peña.